Your devices let you type the Apple logo symbol, but it isn’t obvious. Some people will find entering the logo symbol useful for referring to products such as Pay or Music like in Apple’s marketing copies. Others will be pleased to just save a few characters in social media apps like Twitter and Instagram. As you’ve likely noticed by now, your Mac keyboard lacks a dedicated Apple symbol key despite this special character being actually available to type out on your devices. The Apple logo character renders properly across any iPhone, iPad, iPod touch, Mac, Apple TV or Apple Watch. It can be typed using the iOS, macOS and tvOS software. In watchOS, Dictation and Scribble provide no way to enter the Apple logo whatsoever. On foreign platforms and web browsers like Google Chrome, Firefox and Microsoft Edge, the symbol may show as a simple square, a strange character or something entirely different. Both the Windows and Apple logos are in the private use area of the ASCII extended character set because the standard Unicode set lacks corporate logo characters. Due to different implementations, these special symbols don’t show as visible on other platforms. TIP: Visit the website Alt-Codes.net to find numeric values of special characters. Follow along as we teach you how to properly type the Apple symbol on your iPhone, iPad, Mac, Apple TV or using non-Apple platforms such as Microsoft Windows. Here’s how to enter the Apple logo with your devices. The shortcut works with the standard US English keyboard layout. To visualize character placement on the Mac keyboard, choose the option Show Keyboard Viewer from the Input Source popover in macOS’s menu bar. Alternatively, venture into System Preferences → Keyboard → Input Sources. Keyboard Viewer helps visualize key assignments for special symbols. To reveal additional hidden characters, press a modifier key like Control (⌃) or Command (⌘). International users who rely on world keyboards with different layouts than the standard US QWERTY keyboard can add the US English layout via the Keyboard preference pane and switch to it in order to enter the Apple logo symbol. As a more elegant solution, create a custom text replacement as outlined further below. macOS’s Option (⌥)-Shift (⇧)-K keyboard shortcut has no alternative on iOS. 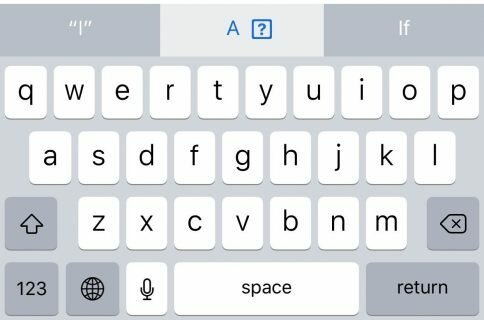 There’s no Keyboard Viewer on iPhone, but iOS include a dedicated feature for entering phrases and special symbols, called Text Replacements. Also found in macOS, it automatically replaces a word or a phrase with custom text, like turning “(c)” into the copyright symbol. 1) Open Settings on your iPhone or iPad. 5) Hit “+“ in the top-right corner to create a new text replacement. 6) Copy the Apple logo symbol  from this post on your iOS device. Tap and hold next to Phrase, then select Paste from the bubble menu to insert the symbol. 7) Tap next to Shortcut and enter a custom snippet to be replaced with the Apple logo. I use “appl,” but you may choose another snippet (to avoid triggering the replacement by accident, use a unique letter combination which isn’t a part of any common word or phrase). 8) Tap Save in the top-right corner to finish making changes. Your shortcut will automatically expand into the Apple logo symbol as you type. Now you can easily enter the Apple logo using your iOS device or Mac into your emails, texts, documents, notes and more—simply hit the Space bar after typing the “aapl” shortcut and the system will replace it with the Apple logo character. Text replacements are kept in sync across iOS and macOS through iCloud so you can use the same shortcut to type on the Apple logo symbol on your Apple devices. And if you pair a Bluetooth keyboard with your iPhone and iPad, you can enter the Apple logo symbol by pressing the same Option (⌥)-Shift (⇧)-K keystroke like on your Mac. As mentioned, there’s currently no way to type the Apple logo with your Apple Watch. Dictation and Scribble, the two primary input methods in watchOS, won’t let you enter the Apple symbol using your voice like you can with punctuation and formatting. Thankfully, the logo does show as visible on the watch in apps like Messages and Reminders because it’s included in the default fonts of the watchOS operating system. 1) Go to Settings → Remotes and Devices → Bluetooth on your fourth-generation Apple TV or Apple TV 4K. For earlier models, venture into Settings → General → Bluetooth. 2) When Apple TV finds nearby Bluetooth devices, select your keyboard from the list. 3) If asked, enter the four-digit code and press Enter. 4) Navigate to the section of an Apple TV app that accepts text, like YouTube’s search feature. 5) Press Option (⌥)-Shift (⇧)-K on the wireless keyboard to enter the Apple symbol. Just like that, the symbol is written out on your TV! 1) On your iPhone or iPad with iOS 11+, open Settings → Control Center → Customize Controls and tap “+” next to Apple TV Remote. 2) Be sure to set up a shortcut on your iOS device that will replace “appl” with “”, as explained in the iPhone and iPad section dealing with Text Replacements. 3) With the Apple TV Remote widget added to your iOS Control Center, highlight any text input field on your Apple TV using your Siri Remote. 4) On your iPhone or iPad, open Control Center and tap the widget you just added, then choose your Apple TV from the list and enter the four-digit passcode that appears on the Apple TV screen, if necessary. Alternatively, press a notification that pops up on the Lock screen of your iPhone upon selecting a text field on your Apple TV. 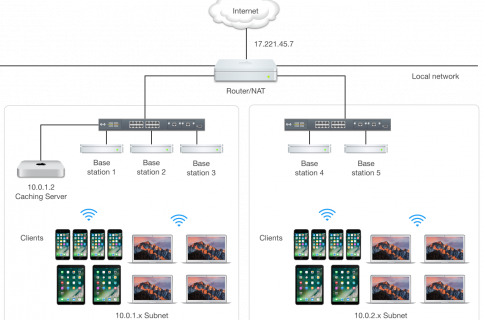 The Control Center widget works only with the fourth-generation Apple TV and Apple TV 4K, and requires an iPhone or iPad with iOS 11 or later. 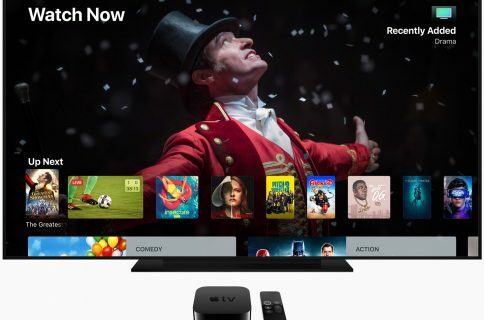 Owners of older Apple TV models are free to download the Apple TV Remote app or the iTunes Remote app from App Store and set it up to remotely control your set-top box. You’ll be able to type the Apple logo and access additional features, like Now Playing and Game mode. Entering the Apple symbol on Apple TV using the Dictation feature is unsupported. As mentioned earlier, the Apple symbol is defined in the extended ASCII character set in one of a private-use character points intended for apps and devices that need to display glyphs unspecified by the Unicode standard. Unicode, however, doesn’t contain any corporate logos as part of the standard character set. That’s why the Apple symbol in a PDF or Word document in most cases won’t show as visible on non-Apple platforms like Windows and Linux. On Windows, there are many ways to enter special characters. We’ll focus on alt codes which require holding the Alt key while typing a 4-code decimal value. You can find the full Unicode character code list at unicode-table.com. 1) Open a document where you’d like to insert the Apple logo symbol. 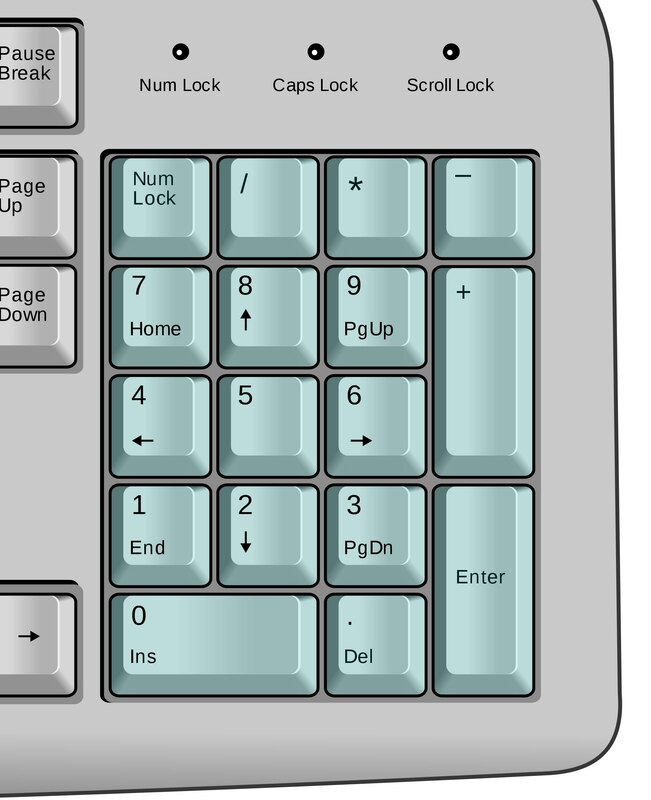 2) Be sure that the Num Lock key is on, the press and hold the left Alt key. 3) Press “0” on the numeric keypad. 4) Press “2” on the numeric keypad. 5) Press “4” on the numeric keypad. 6) Press “0” on the numeric keypad. 1) Open a document where you’d like to see the Apple logo symbol. 2) Press F 8 F F on the keyboard (the Unicode value of the Apple logo symbol). The Apple symbol will be inserted at the current cursor position. In certain Microsoft apps like Word, Excel, PowerPoint and Outlook, there are dedicated options for entering special characters. To see a graphical representation of special symbols in Windows, open the stock Character Map app (charmap.exe). The alt-code trick won’t work if your chosen font lacks the Apple logo definition. In that case, switch to the Baskerville Old Face font in Character Map, select the Apple logo, click Select and choose Copy to put the character on the system clipboard. From there, you can paste it into other apps using the standard Ctrl-V shortcut. The Apple logo or any other special character or symbol can be typed out in your blog posts or webpages by using the HTML entities hexadecimal notation followed by a character’s Unicode hexadecimal value (the Apple logo symbol has the Unicode value F8FF). You should see the  character when the page is rendered in a browser.